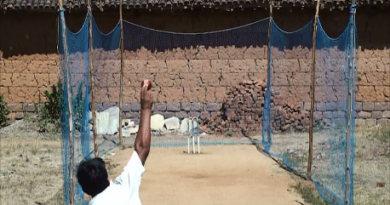 To bowl a googly grip the ball just like similar to the way you grip for leg break. Like the thumb which doesn’t play a major role in this type of googly can be switched on or switched off on the seam, the index and middle fingers should be clearly rested on the seam with a comfortable distance not too close or too far but has to be a comfortable distance, and it depends on individual. The ring finger which is also known as turning finger should be rested on the seam pointing in down direction. 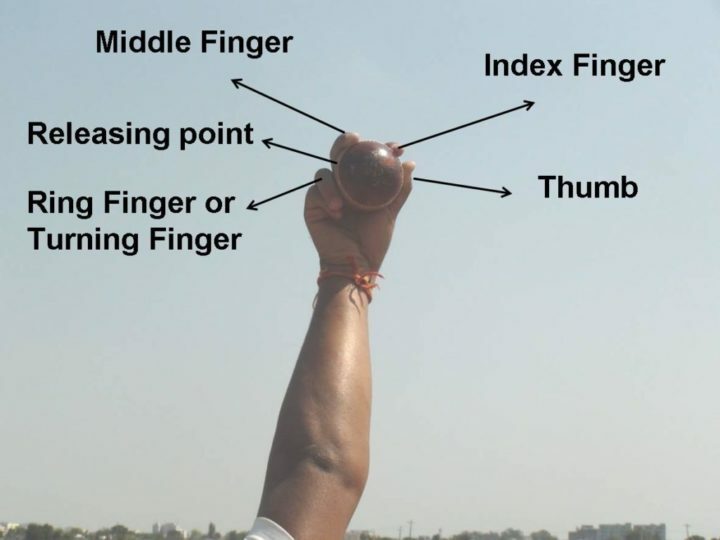 This finger is known as turning finger since this is the finger which plays the major role in rotating the ball along with the seam especially in leg break. 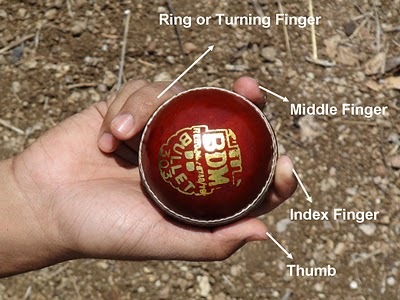 The releasing point of the ball has to be from between the ring and middle fingers as shown in the picture. 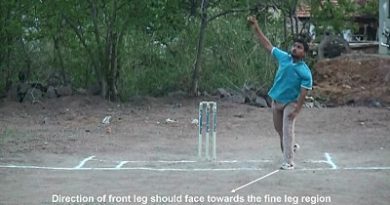 The releasing has to be in such a way that the direction of rotation of the ball should be towards leg slip region, which is the key in moving towards the batsman after hitting the pitch. At the end of the day, since the ball gets released from between the ring and middle fingers the ball will try to rotate in the direction of leg slip region with a bit of irregular cross seam.